Highly polished lazer cut stainless steel, simple to fit using original screws. 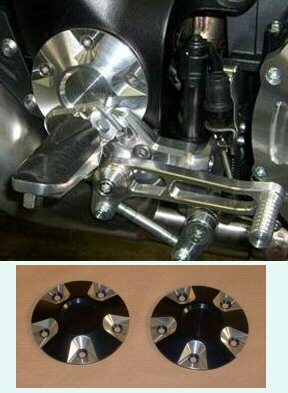 The mounting of the kit is very easy as original. 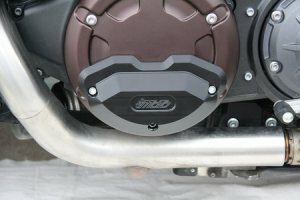 The handlebar lever is soft at low speeds, the centrifugal force begins to act at 3000 rev/min and becomes its maximum to 5500 rev/min. 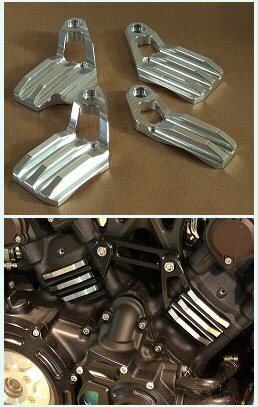 Made from CNC Billet Aluminium. Complete kit includes generator cover, mid gear case, water pump case, clutch case. 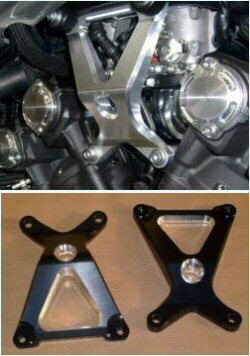 Billet CNC Machined aluminium, available in Aluminuim or Black painted. All 4 covers are different and each adapted to it's own cylinder, they have one attachment point so there is an anti-rotation bracket, 4 x new longer screws supplied. 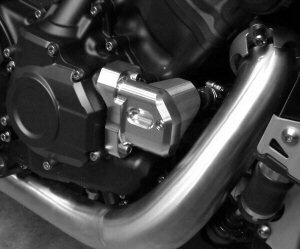 Made from Billet Aluminium. 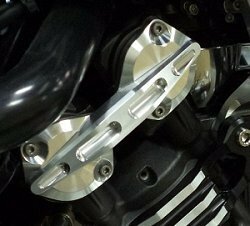 CNC Billet Aluminium Cam Shaft End Cap Covers, Complete Set of 8. 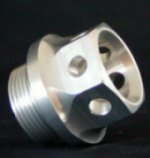 CNC Billet Aluminium Cam Shaft End Cap Covers, Complete Set of 4. 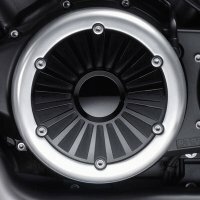 CNC Billet Aluminium Hub Cover, (now includes Steel Spacer to make installation easy). 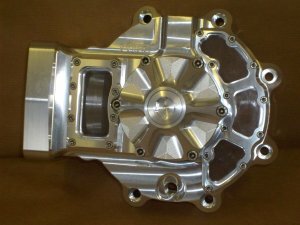 It's very techncial work to remove the gears out of the stock case and to adjust the gears clearance in these units. 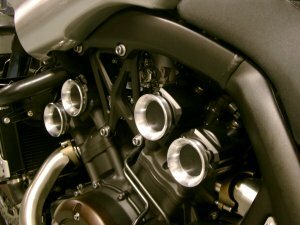 This work requires good mechanical competence and special tools. 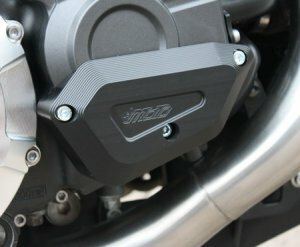 Made from CNC Billet Aluminium base with plain black Nylon front. 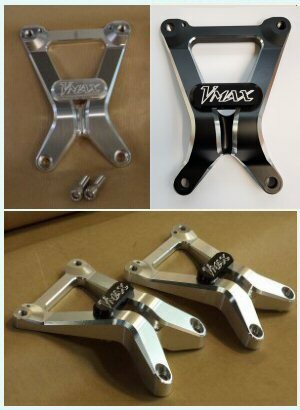 Made from CNC Billet Aluminium base with Engraved black Nylon front. 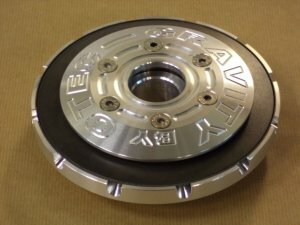 Genuine Yamaha replacement clutch cover with lustre finished rim. 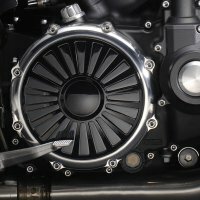 Genuine Yamaha replacement generator cover lustre finished rim. 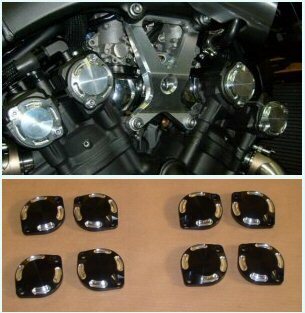 Genuine yamaha, set of 8 pieces. 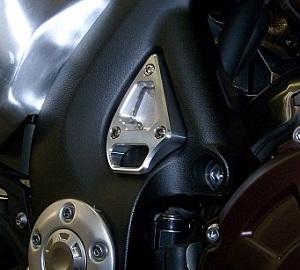 Genuine yamaha, 2 pieces for the rear-arm pivot. 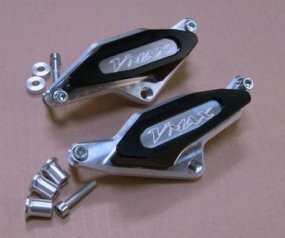 These are made from Billet Aluminium and Black Anodized with a unique reverse-cut design.